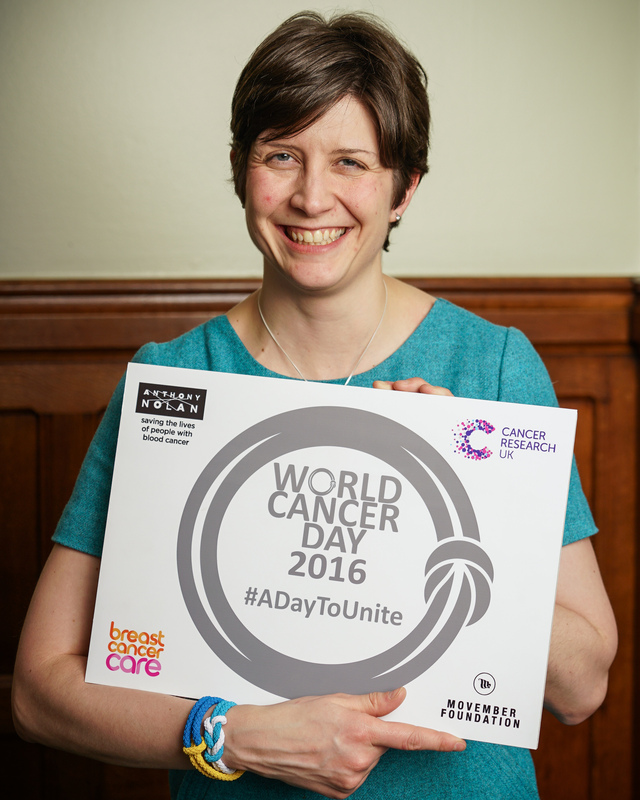 Alison Thewliss, MP for Glasgow Central, attended an event in Parliament yesterday (Wednesday 3 February) to show her support for World Cancer Day today (February 4, 2016). Ms Thewliss met with representatives from four of the UK’s leading cancer charities who are working together to unite the nation and help transform the lives of millions of people who are affected by cancer. Cancer Research UK, Breast Cancer Care, Anthony Nolan and the Movember Foundation are calling on people across Glasgow to show their support by wearing a Unity Band with pride today (February 4). “Today (February 4) is World Cancer Day and I’m calling on people in Glasgow to join me by wearing a Unity Band, making a donation or spreading the word on social media.